Orange Ribbon week bring awareness to alcohol dangers and is targeted around prom season. RADD will be having several activities during the week to raise that awareness. Starting with Tuesday Quick Click Challenge at lunch where student form teams of four and attempt to be the fastest team of buckling their seatbelts. This team will advance to the state competition. Wednesday there will be a quest speaker Larry Higgins with PAID-People Against Impaired Driving. He brings a personal tragedy of his family that was caused by drinking and driving. 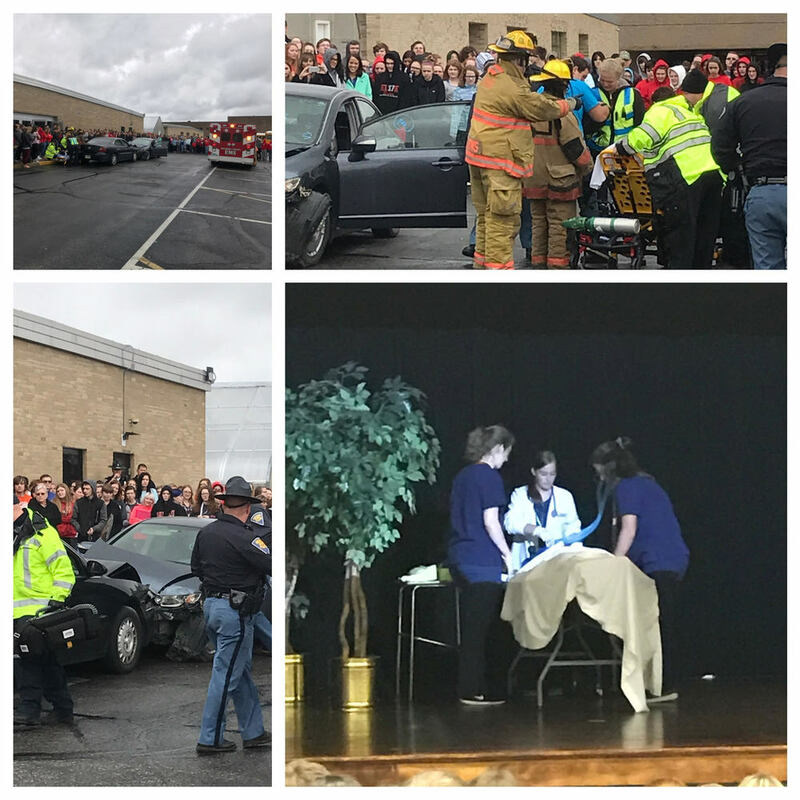 Thursday the RADD students will reenact a crash scene that shows the dangers of drinking and driving and the consequences of parents throwing parties that result in tragedy. Local law enforcement, fire department and the stat flight helicopter will help make this live action demonstration a reminder of the price for drinking and driving. Friday morning we will end with the orange ribbon breakfast where students can enjoy a 25 cent breakfast to finish off the week.